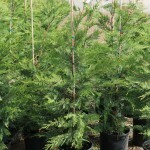 A tall, fast growing conifer with long sprays of flattened, dark green foliage. 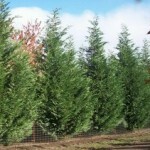 Can be pruned to maintain a medium to large hedge, also makes a good screening plant. 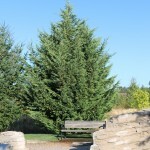 An intergeneric hybrid of Cupressus macrocarpa and Chamaecyparis nootkatensis. It prefers full sun and a moist, fertile, well-drained soil. It isn't fussy about soil, but good drainage is essential.